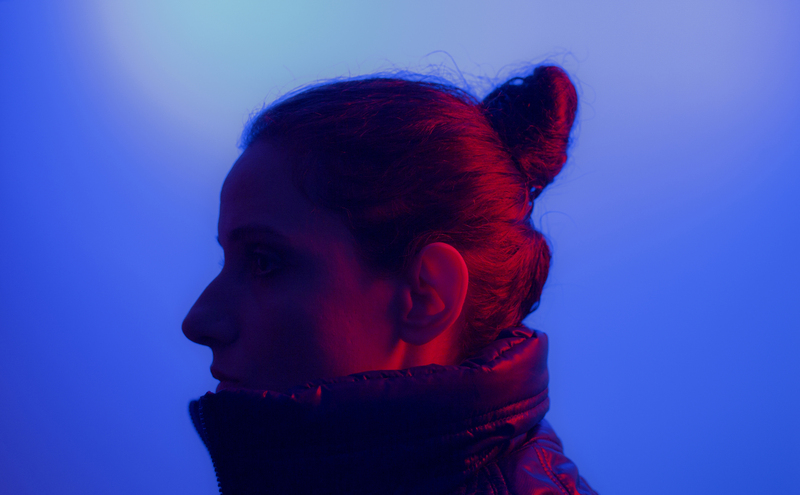 Working out of her private studio since 2008, Bérangère Maximin has developed her own approach to sound art and electronic music, composing dense, immersive pieces with immediate impact. Through four albums which have aroused international interest, she has revealed a taste for mixing disparate sounds together with a sense of detail, effusive lyrical playfulness with the digital material, and tight nuanced writing. She has collaborated with the likes of Fred Frith, Christian Fennesz, and John Zorn. Her releases have appeared on Tzadik’s Composer Series (USA), SubRosa’s Framework (BE) and Crammed Discs’s Made To Measure (BE), and she has held numerous residencies at locations such as EMS Stockholm and INA-GRM in Paris. She’s playing at several SHAPE events this autumn, including musikprotokoll (with Fred Frith), Skanu Mezs, UH Fest, and others (TBA). Can you talk about your childhood? I’ve read you grew up on the Réunion island in the Indian Ocean. Do you think this influenced your artistic development and sonics (the affinity for space and some sort of aquatic aural element – like waves, for instance)? I spent my childhood and early teenage years in Réunion, the native land of my mother, and moved with her and my brother to the South of France when she found a job there. I had just turned 15. I had never really felt atypical until I stepped into the new school. There I realized that most people, the other teenagers as well as the adults, didn’t even know where the island is located and that my way of life before I moved there had definitely been different from big city life. I had spent most of my time outdoors on the beach, or in my uncle’s farm, and was always surrounded by my entire family since we were all living in the same house. Two generations side by side, with minimum 8 people sharing lunch and dinner everyday. For us, this was normal. I lost my island accent quickly and adapted quite easily, but I’ve always felt like the oddball at school and when compared to other Europeans. I felt like the one who sees things with some kind of distance, with a particular angle. I’m an islander in spirit, and from the moment I left Réunion I have always felt like I’m entering the rest of the world at once, not only France. So from that moment on, I’ve always felt like a citizen of the world above all. The creole culture is part of my identity. It affects my vision, and it undoubtedly acts as a grid through which I see things in general. This grid is in constant evolution throughout my life and musical experiences. I still have a very strong connection with maritime people and cultures. I like their philosophy and sense of humour. Also, living on an island is a special atmosphere and it keeps resonating with you even if you’ve become continental. Every artist who has experienced living in isolation, surrounded by water and nature, can’t help but refer to it in their work. It’s the same for me. Naturally, a tropical feel is palpable through the metric and pulsation of some of my pieces, for instance on Tant Que Les Heures Passent, but strangely enough I had never really realized it until a cousin had a listen and pointed this influence out. In my most recent pieces, I’ve explored the contrast between the urban and the pastoral in the city. So in a sense, I’ve been digging further into my roots as an islander who lived in an environment where urban landscape has grown in the middle of a rough and wild nature and a volcano whose regular activities push the city to adapt and transform. I’ve recently moved into a new flat. It’s just one subway stop away from the centre of Paris but is a radical change of environment. I now have a very big terrace in front of a private garden with trees and flowers, with birds singing in the morning, and where I’m spared from the traffic and the noise of dense humanity. I had lived in the centre for over 15 years, so this is a big improvement that I appreciate very much. The immediate impact was that I’ve started making more contrasting music. I’ve been reconnecting with silence as a breath, a pause, and as a sound itself, and have reincorporated it into my material. You mention being influenced by a diverse range of artists, including Pierre Schaeffer and Stockhausen, to Pan Sonic and Autechre. Can you talk about their respective impact on your work? I am a music lover so I have a very eclectic taste and make a point not to hide it. I grew up in a family that wasn’t much into arts apart from my dad, who was a record collector. My parents got divorced after a few years together and I didn’t get to see my dad often after that, but my high school friends would play me great music of all kinds, which was all new to me. I had so much to explore. To use a comparison with music making, it was like everything was layered in a mix rather than a collage with articulations and cohesive progression. It was going in all directions and still does today, when I blast music at home. I have a soft spot for that period of my life, that hunger, that fresh attitude, that great excitement. I loved that time when I could jump from flamenco to Congolese rumba to 60s British Mod R&B to improvisation bands from the 70s and onward, and a bit later from long-play sound pieces by Stockhausen or Pierre Henry to releases on Mille Plateaux and the first Mego records, without thinking too much. My listening is still eclectic today, but it’s become a more self-conscious process. Everything sounded new to me back then, and quite mysterious. Music concrete, acousmatic music, sound art, and the multiplicity of aesthetics within these genres, are continuous inspirations up until today, with new records like Ana Dall’Ara-Majek’s release on Quebec Empreintes Digital or the map of fictitious islands from Andrew Pekler, which resonates with my personal story. So is the abstract electronic music from the late 90s that I first heard while studying acousmatic composition at the conservatoire; performers and DJs like Terre Thaemlitz, Fennesz, Scanner, Pansonic, Simon Fisher Turner are big influences, but less musically than spiritually if I may say. They first showed me a certain way of creating music and a certain lifestyle that goes along with it. Newer names such as Helm or Valerio Tricoli, are further examples of how to be very independent and yet open to other forms, how to incorporate new forms into a very personal approach. I totally feel that I’m a part of that approach. Musique concrete is another important factor in your work, with Paris being the birthplace for these groundbreaking sonic experiments. Music Concrète was born in France but then quickly spread through the whole world. It is still a great influence on composers of the likes of Matmos or Daniel Lopatin (the duo album with Tim Hecker for example) or Holly Herndon, to name but a few. As a technique, it indeed remains essential to me. The comings and goings between what you hear and what you do without a written score, the ambivalence and independence of the sound from its source, are at the core of my work. They’re in my music’s DNA. Can you talk about your “sonic architecture” and the importance of dramaturgy in your music? In my last series of works released under the names Dangerous Orbits (Crammed Discs, 2015) and Frozen Refrains (Atlas Realisations 2017), as well as in Infinitesimal (Sub Rosa, 2013), I’ve explored the themes of multiplicity, time dimensions, the simultaneity of possible futures, and dissonant emotions, with the leading idea of music as an articulated memory, a force of imagination, reinvention, and power. Being an original time vector, which fills the gaps between visual arts and life, the art of sound allows us to think of history as an entire part of the present moment. Appearing as sound events that unfold one by one, phrase by phrase, from moment to moment, music stands as an active transition. Simultaneously, the present becomes a framework, the past a genealogy, the future a plan of action. With the wonderful specificity of never being explicit, music nevertheless shows a new understanding of reality, a new frame of possibilities and potential transformations, in a very palpable way. My work acts as a connection between evocative sound images, the way memories pop up in the mind, and abstract objects meant to describe the subtext, reflecting wordless internal thoughts and notions. Often taking the shape of some sonic travel diary, the impression of a constant movement given through the whole piece, the series unveils itself as tightly intertwined moving layers, with a mix of contrasted textures often playing in complementarity rather than opposition; a very reactive material which tends to evolve and change with the permanent viewpoint of the observer and undoubtedly affecting what is observed. Space is a very important parameter since it allows me to establish a hierarchy inside the structure, and some dramaturgy where I place the short sounds and sequences, give them a precise role and make them change; a sound choreography of sorts, which is always guided by the idea of creating a sensation of strange familiarity, the cursor changing place on every piece, to offer a wide range of combinations of details and dynamics. I imagine the listener as caught in a refined net of strong images and emotions, then almost suffocating and being overwhelmed with it, and finally carefully, smoothly, gently heading back home. You once mentioned you have a love-hate relationship with music. Can you elaborate? I’ve been in a love-hate relationship with art in general because I like it to remain open and accessible, but when does that, I’m not satisfied. It’s then not enough, like something’s missing. That’s the duality. It’s the same with performance; I’d love to be able to play on any PA system in any venue for the love of art, but in fact, the presentation restitution of your music depends so much on the quality of the speakers and on how the room reacts to the acoustics. You thus can’t afford to just say yes to every opportunity. It’s frustrating but indispensable to think twice before accepting an invitation to play. The audience doesn’t necessarily know that what you’re playing is getting wasted through a dismal system or because too many people are talking in the background, they just think what they hear is how it is! They’re bound to think that you are the one responsible for everything. This is why over time I’ve found myself choosing my performances more carefully. Can you talk about your collaborations, for instance with Fred Frith and other artists? When I started performing on stage I needed to practice, so I took collaborations as an opportunity to enrich my vocabulary. These past years I’ve been more focused on improving my solo sets. My second album No One is An Island is meant to document the period when I wanted to challenge my writing with others, especially guitarists, for I find that it’s a very interesting mix. The choice of contributors was natural. I contacted the composers and performers I had met during my first two tours, and, knowing that they liked my music and that we got along well, I felt confident to invite them to play with me. I’m happy to say that I’m still in touch with each one of them even though we’re all busy doing our own things. I first met Fred Frith in a similar situation; on tour in 2010. I shared the bill with Norberto Lobo and Fred, and he told me afterwards that he enjoyed my set. He had listened to my debut album and liked it as well. The following year, I joined him in San Francisco for a few concerts he put together for me and Yan Jun. Then I invited him to play as a duo in France for two concerts on reconverted boats: the Batofar club in Paris and in Bordeaux’s iBoat. Then we played together again at Instants Chavirés in 2016 during his three-day carte blanche programme. We’ll play next at musikprotokoll in Graz this coming October. I’m very much looking forward to it. I’ve also recently spoken with my long time friend Frédéric D. Oberland, who collaborated with me on No One is An Island, at a record label fair organized by Villette Sonique in Paris. He was introducing his new label, Nahal Recordings, that he launched with Mondkopf. We’ve decided to record a new series together. This idea is very exciting. Actually, we have a pre-recording meeting scheduled this week, so… to be continued! Do you have any dreams in terms of your work? I prefer to imagine the future in terms of projects rather than dreams. We live in a very busy and competitive time and to be able to survive as an artist in this climate, you have to adjust. I’ve loved social media networks as a communication tool since their inception, but on the music business side they force you into a daily reality check of things happening around you, which is both excellent and destructive. So I’d say there isn’t much room for dreams nowadays. That said, my career has been like a dream from the start. I feel grateful and lucky to be able to experiment and create music with such great support from the labels I’ve worked with since my debut on Tzadik. Who would have thought that when I first gathered my electroacoustic pieces together, they would end up in such great collections? No really, it’s a living dream in a sense. I just wish I could play more concerts and that this very nice and encouraging relationship with the labels continues.